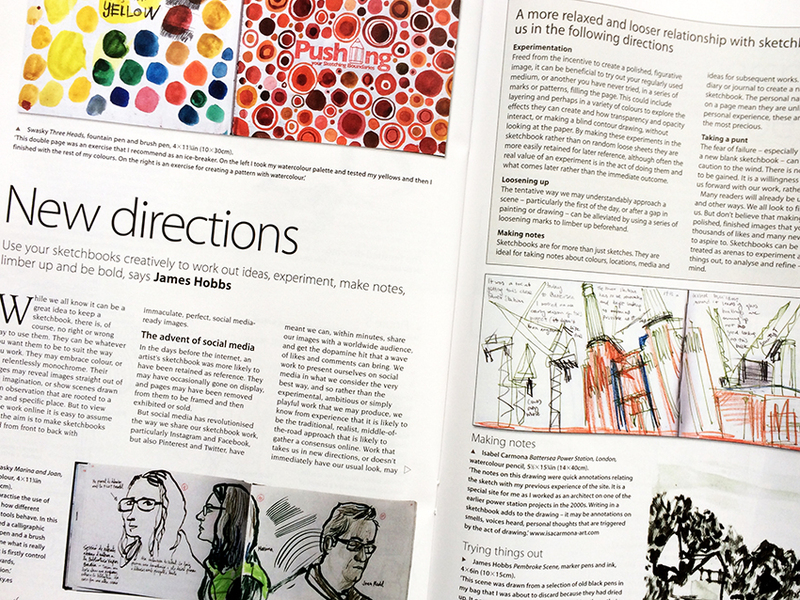 The January 2019 issue of The Artist magazine includes an article by me about how sketchbooks are laboratories for experimentation and play, and not necessarily places to make pristine works that aim to garner likes on social media. Our most "liked" works aren't always the ones leading us in the best direction. Thanks to Isabel Carmona, Liz Loxton, Swasky and Lis Watkins, whose works are featured in the article. Thanks for the info James. I always enjoy reading your thoughts on drawing and I greatly admire your drawings. From time to time I try to "draw with a thick marker in a small sketchbook". Thanks Don. I hope all goes well with you.